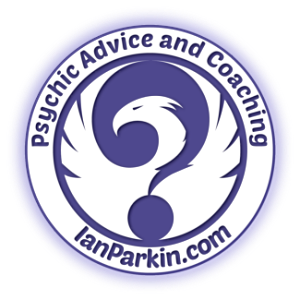 Is a Psychic Phone Reading right for you? Do you often find yourself struggling to maneuver yourself from one phase of your life to the next? Do you often find yourself in anticipation of future events? Do you feel as if there is more to your life, yet, you seemingly move from one day to the next in the same mundane level of existence? Are you curious about the purpose of events that occur within your life? Do you seek to uncover the true meaning of life?  If you answered “yes” to any or all these questions, you will benefit immensely from seeking guidance and obtaining direction for your life from a gifted psychic over the phone. Be it about your relationships, your emotional growth, or your professional standing. In this guide, I will provide you with productive strategies for successfully acquiring the best psychic phone reading help from trusted psychics. The following tips will help you to successfully find accurate psychic advice over the phone. First, you must be open to the psychic’s abilities and have some degree of belief in the power of the psychic. It may be difficult to comprehend, but psychics can know information without any level of logical connection and/or form of logical thought. These individuals operate through vibrational frequencies from the universe that provide them with thoughts and feelings pertaining to those that they work with. Many refer to them as having a “sixth sense” or ESP. Psychics are sensitive to others and the universe. In order to reap the highest level of reward from your experience, it is imperative that you believe in the psychic’s ability. Doubt, denial, and disbelief will do nothing to help you. In fact, it will only work to block your psychic’s ability to truly help you and provide the direction you seek. When seeking their assistance, understand that some degree of questioning and confirmation is necessary. Many people who search for the wisdom and assistance of a psychic will be completely close-minded and unwilling to answer questions. Many believe that, if a psychic is truly a psychic that they should “know” what they need to know. While this is true – to some degree – it is important to understand that psychics must also get a “sense” of you, as a person. They must connect to you and they must validate the images, thoughts, and feelings that they are experiencing while speaking with you.  Finally, when looking for a good psychic phone reading, it is important to do a little research. Not all individuals that have this gift will advertise it. You may or may not find information on the psychic that you have chosen to work with; however, if there is any “bad” or negative information on the individual, you will almost always discover that. Now, keep in mind that many people who do not receive the information that they want will often spread negativity about a psychic. Not all reviews you read will be accurate; however, any negative reviews should – at the very least – alert you to the possibility that you could, potentially, be working with someone that truly lacks the gift. Pay special attention during the free introductory minutes of your first psychic phone reading and, if you feel as if you are dealing with a less-than psychic, immediately stop the call and move on. A genuine psychic who is comfortable working via phone will have the ability to direct and guide you to the life that you have always dreamed of experiencing – possibly, an even better life than you have ever imagined living. True psychics are in tune to the universe and those around them. They simply get a feel for you and then receive their information through images, feelings, sounds, and more. The universe wants us all to succeed in all areas of our lives. By simply being open, receptive, believing, and working with a genuine psychic today, you are sure to be walking the path intended for you by tomorrow! The advantage of connecting to a psychic by phone is that the world is your oyster. You can tune in with a variety of professional psychic mediums, clairvoyants and tarot readers from any country in the world. Most of the larger, well established and well-respected psychic phone reading networks will have an international base of good readers available, on call around the clock 24/7, every day of the year. Many of these international phone reading companies provide toll free numbers for you to contact their customer service staff without charge. You can discuss your needs, and with their help, select a psychic phone reader best suited to you. They accept payments in multiple currencies by credit card and can arrange a gifted psychic to call you on a home line or cell/mobile wherever you are, whenever you want. A word of caution, although now being banned in most countries, calling psychic hotlines that billed to your home phone account was called using a premium number. When you dialed the premium number, you were connected directly to a psychic at random (unless you know the psychic’s pin or extension number) and the total (per minute) fees would appear on your next phone bill. Some less than trustworthy individuals, as well as some struggling psychic networks, may be still trying to get around these bans by using offshore service providers based in hard to police countries. It is best to avoid premium number hotlines altogether. There is a full international list of premium number prefixes provided on Wikipedia if you are unsure. Most reputable firms providing readings over the phone will have a customer service line you can call first. And/Or they will have a way of letting you check their readers feedback and unsolicited client testimonials.